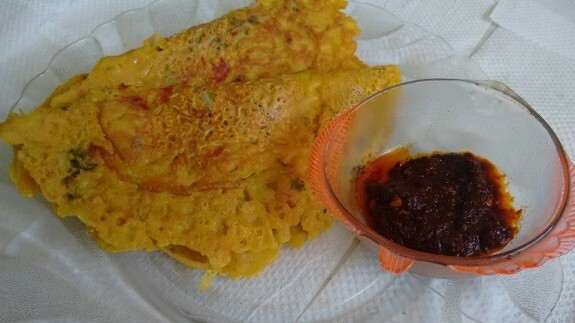 Besan Chilla is one of the popular Rajasthani recipes which are tasty enough that you can use for both breakfast and Brunch as well. It is nutritious and also easy to make recipe. 1. Take a large bowl and combine gram flour, corn flour, onion, tomatoes, green chillies, black pepper powder, red chilli powder, coriander powder, chaat masala powder, salt and coriander leaves. 2. Add water to make a light thick batter. 3. Heat a non stick pan and rub the pan with oily cotton. 4. Pour a ladle of batter and spread it like the dosa or pan cake. 5. Pour little oil on the sides and cook on medium low flame until the side is golden. 6. Now turn it and cook the other side till its colour is light brown. 7. Serve it with Ketch up or Chutney.